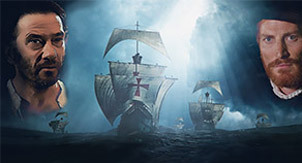 After the discoveries of Columbus, Spain conquers the New World and unlocks invaluable riches. 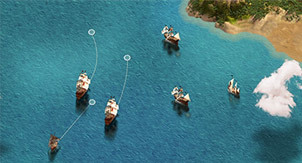 Royal families recognize the importance of the ocean voyages, and the race for supremacy begins on the high sea. 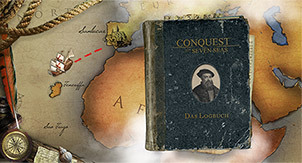 Create your own Spanish Empire on the sea and hunt down your adversary Sir Francis Drake. Experience the different facets of the first circumnavigation aboard the ship of Magellan and discover the latest research in this interactive web documentary.